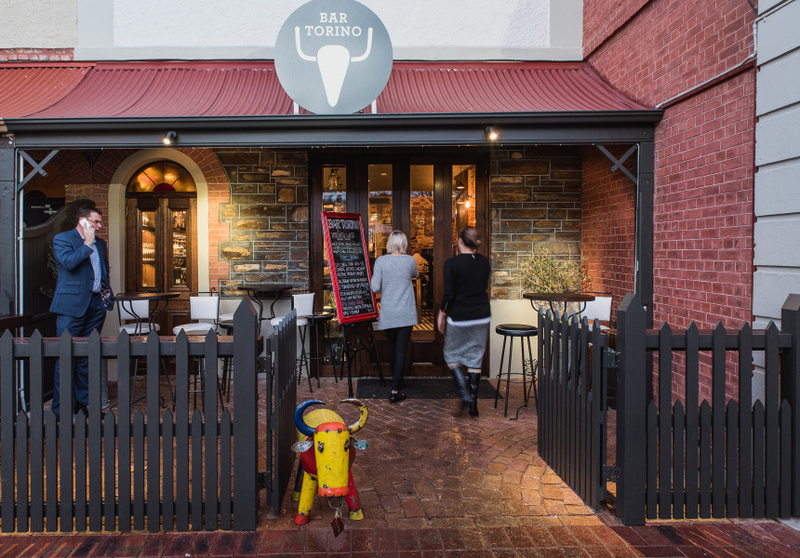 Bar Torino is not so much about keeping it in the family, as it is keeping it near the family. 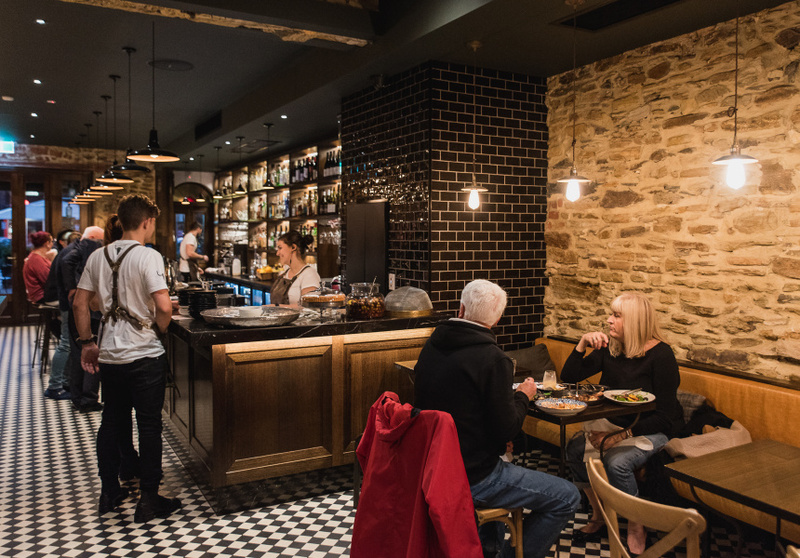 After growing up in their parents’ restaurant, Chianti’s, brother and sister Nick and Jess Favaro decided to open up a bar next door, shared wall and all. 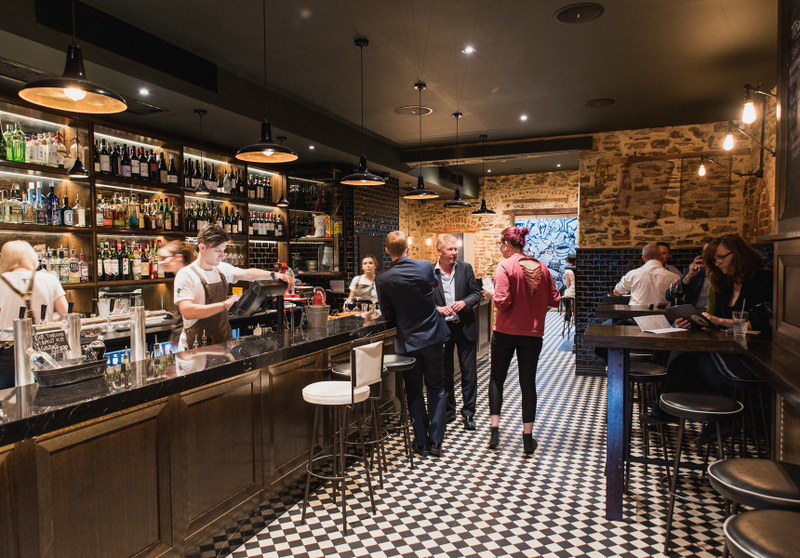 The bar brings together the dining cultures of Spain and Italy in a refined yet casual setting that reels in the after work crowd like they’re running from the bulls. The menu is split to accompany your first, second and third drinks, with small bites such as bagna càuda (a salty, garlicky dip served fondue-style) and pintxos up first. Croquettes, kingfish and tempura cauliflower go with your second, and for your third (and beyond) there’s beef tartare, lasagne and paella. On the drinks list there’s a focus on the house Vermouth, which features in many of the cocktails such as the Martinez (gin, vermouth and Luxardo maraschino liqueur). There are also 10 variations on the classic gin and tonic, such as the 78°, which uses Adelaide Hills Distillery 78° gin, lemon zest, peppercorns and Fever Tree tonic. The wine list sees a good selection from Australia, Spain and Italy while the beers include a Spanish lager on tap alongside three locals.